Looking for a unique way to make your event sparkle? One Hour Wine can come to you. We offer completely personalised courses and tastings for private groups. A dinner party with a difference? Hen nights, stag dos and any other celebration will all go off with a bang with a tailor-made One Hour Wine course. We are also available for corporate events, team-building exercises and pretty much anything else you can think of. 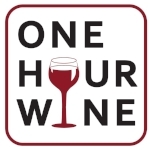 Just tell us what you want and One Hour Wine will work with you to guarantee an unforgettable experience for your guests or clients. OHW also provides educational services for hospitality industry professionals. We can develop individually-crafted training programmes for barmen, wine waiters, shop employees and so on - so you can be sure that your staff are always up to speed.